Recently I was in Canberra for work, staying with a friend in the foothills of Mt Taylor, to the city’s south. With my battle against middle age continuing, I packed the running shoes, intending to get out for an early morning run before each day’s conference gathering got under-way. 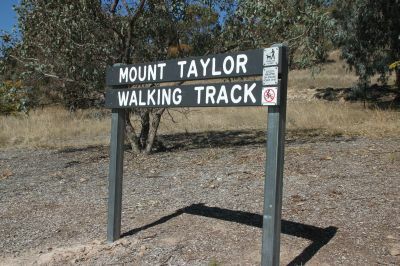 My host advised a left turn from his driveway and then head up towards Mt Taylor to pick up a flat walking trail that runs all the way around the bottom of the mountain with quiet countryside and spectacular views – and a distance of around 5k or so. Perfect. So I headed out, turned left into the park and started up the 2-300m straight uphill section (flat!) to the walking trail. As I huffed and puffed my way up the hill, a young bloke came around the corner at the top and headed down the trail toward me. I puffed my way up, and he was gone. Never seen him before, unlikely to ever see him again. Those words were powerful, just as I felt like slowing to a walk I found a little extra energy to complete the last of the climb to the trail. Now honest truth be told, I would have looked anything but. Hunched over, almost shuffling, breathing hard, mismatched running cclothes, ill-fitting old cap. But, days later, I still feel a little burst of energy when I think of his words. They cost him nothing to utter. Just a couple of words to a complete stranger. Such is the power of encouragement. Further on in the run I nodded hello to a couple of retired blokes out walking their dogs. Later as I looped around the mountain I came upon them again, this time a more friendly greeting exchanged between us all. Day two and and I ran Mt Taylor once more. How could I not? I was a machine! Of course I saw those two same gents and their pair of pooches, out for their morning walk, and the greeting was once again a little more friendly as I continued on my way. I returned the greeting, we chatted momentarily as I passed, and that was that. From somewhere came the energy to finish out that run, standing just a little taller, striding out just a little longer. But they are also priceless. Of course just as easily words can hurt and drag down, but on this occasion, these occasions, two different people offered freely the gift of encouragement to a stranger. Words not deserved, or earned, and with nothing to be earned in return by the giver…..but given anyway, given generously. And not only did I run a little longer and better as a result, but resolved to pass on words of encouragement wherever I can, to friend or stranger. Encouragement might just be the gift that keeps on giving.